Renewing Old Art: Second Chance Creations - Forgotten items get a facelift and another chance to inspire. Picture your grandparents’ living room in 1975 and, chances are, you’ll see an outdated landscape painting hanging above the floral-print sofa. 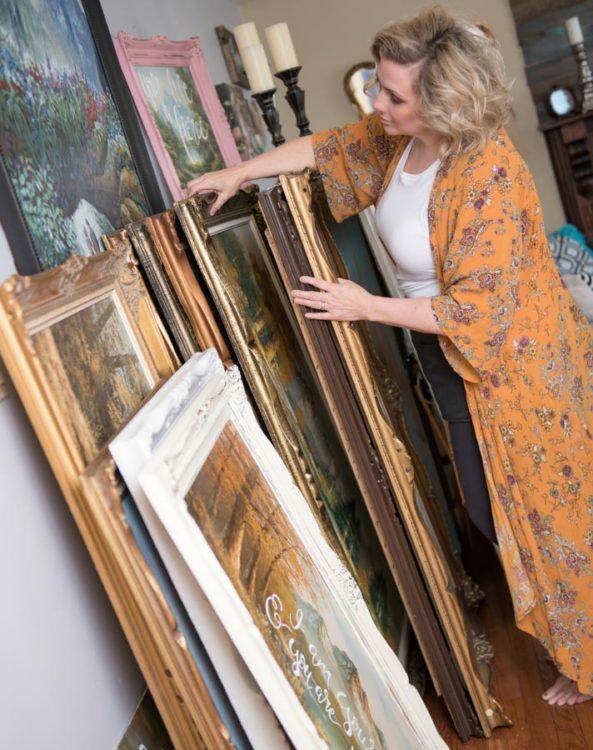 A couple of decades past their prime, many of these paintings have since been forgotten, or relegated to basements, estate sales and the landfill. But with a few paint pens and a creed of redemption, Lorie Loewen is bringing these relics into the now, and back into people’s homes. Loewen, owner of Second Chance Creations, revives neglected paintings by hand lettering inspirational quotes and lyrics overtop of the scenes. “It’s breathing life into things people thought were dead,” she describes. She uses paint pens—and a knack for handwriting she’s been honing since childhood—to transform the forsaken pieces into stylish, meaningful works of art, saving them from the junkyard and giving them a second chance to be beautiful again. 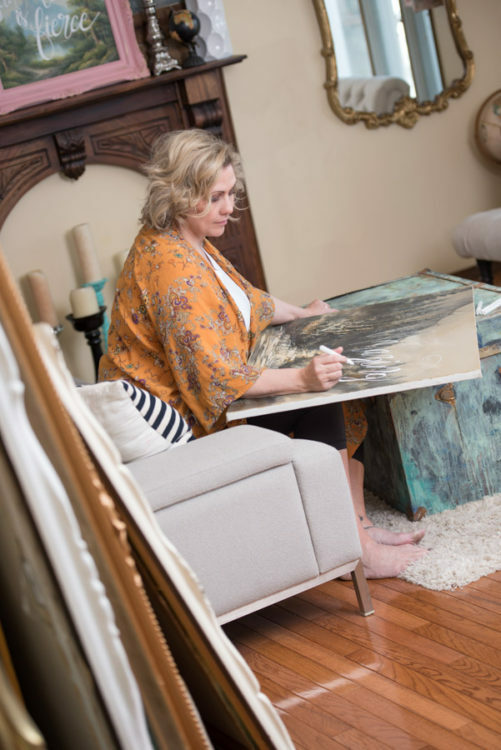 The process goes something like this: once Loewen has sourced a piece—she’s drawn to mountain scenes and colourful flowers, but has reincarnated everything from ocean scenes to portraits to heirloom photographs—she wipes it down and decides if it’s in need of restoration. Tears are repaired, and chipped paint is filled in; she even builds up decaying frames, sculpting rosebuds and ornate details in an effort to restore each one to its original glory. But the real star of the show is the hand lettering. Loewen writes all of her words by hand with a paint pen—each letter getting 8 or 9 coats for maximum oomph. “The hardest thing is figuring out which quotes people are going to like,” she says. She keeps a note in her phone with ones that speak to her, but you won’t find any edgy sayings or sarcastic remarks here. Every phrase is deliberately uplifting, intended to nourish the family that receives it like a modern blessing. She resurrects tired frames with bold pinks, aqua, or white, and puts everything back together for the final product. 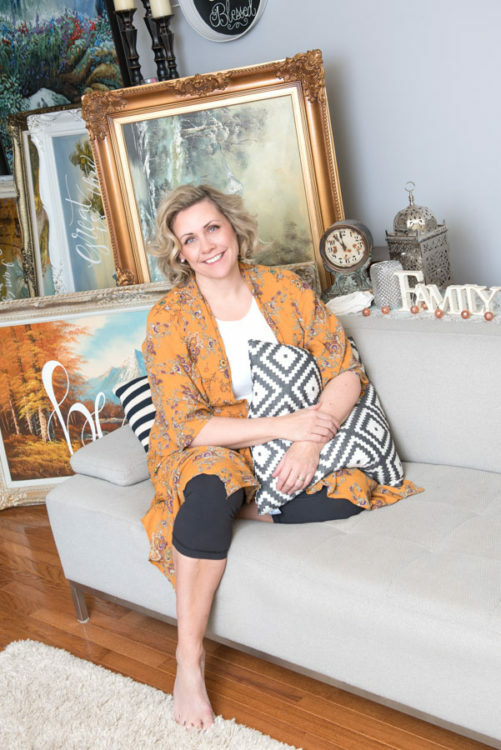 For Loewen, whose creations are often found decorating master bedrooms and nurseries, seeing her art hanging in people’s homes is the ultimate gift.